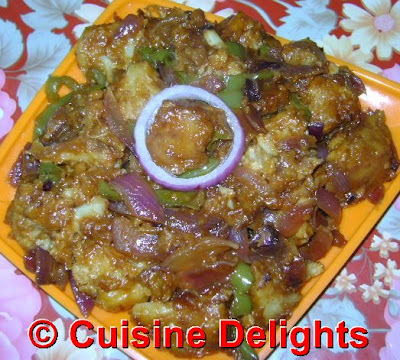 Gobi Manchurian is cauliflower made very interesting and flavorful with species of different kinds. The dish comes from a fusion of two cultures, Chinese and East Indian. It is a staple dish of the Indian Chinese cuisine overall. 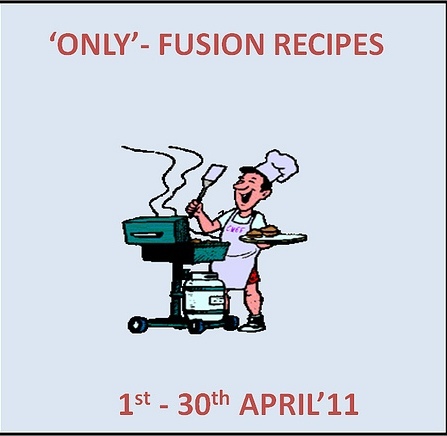 This fusion cuisine is one of the most popular in India today. Gobi Manchurian is deep fried cauliflower fritters mixed in a spicy and tangy sauce. ‘Gobi’ means Cauliflower in Punjabi and ‘Manchurian’ meaning sweet & sour. There are two variations of the same recipe. The dry version of the recipe is a delicious appetizer and the gravy version goes well with fried rice. Mix maida ,cornflour, chilli powder, ginger-garlic paste and salt in a bowl and a little water to make a thick paste (bhajji consistency). Wash cauliflower florets and add it to the paste. mix it well so that the florets are coated well with the paste. Deep fry the florets in oil and keep aside. Heat oil in a pan, add the chopped garlic, fry it and then add onions and capsicum, fry it sometime. After few minutes add green chilli. Saute for a minutes. Now add chilli sauce, tomato sauce, soya sauce and fried cauliflower florets. Mix it well. Mix the cornflour with water and add it the mixture. Mix well so that the florets are covered well with the sauce. 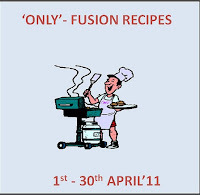 Sending this recipe to Priya Mahadevan's "Only Fusion Recipe"